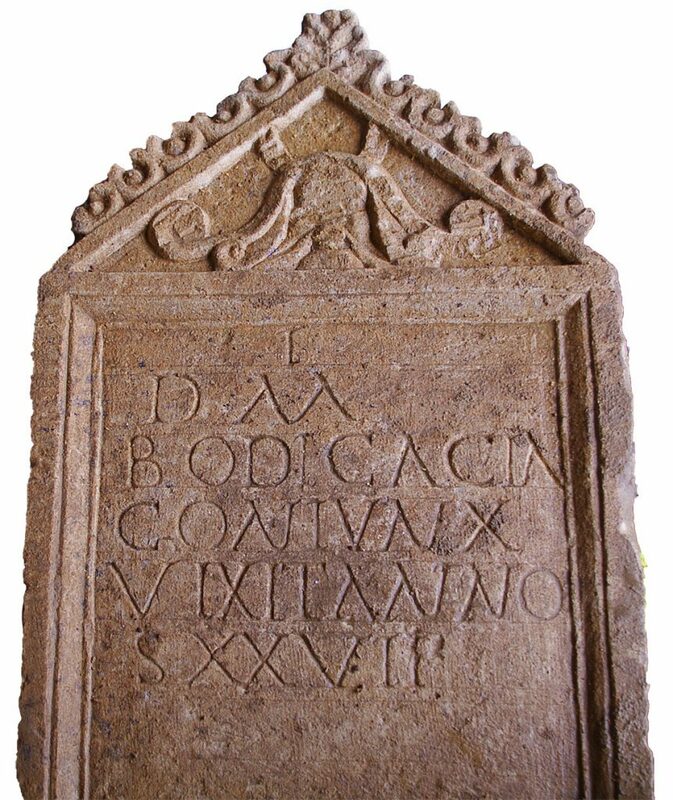 An incredibly rare Roman tombstone was found still in place on the site of former Bridges Garage in Cirencester. The tombstone, found lying on its front, was lifted this morning and turned over live on the BBC to reveal fine decoration and five lines of inscription in Roman ‘D.M. BODICACIA CONIUNX VIXIT ANNO S XXVII’. The pre-eminent Roman specialist Dr Richard Reece was on hand at the site to translate the inscription, and revealed it read ‘In memory of Bodicia. Wife. Lived 27 years’. Amanda Hart, Director of the Corinium Museum, was especially pleased with the find, as she is giving a talk on Roman women in Cirencester at the Museum on 10 March. Check out the BBC website for more information on the revealing of this amazing find.